Enclosed in a beautiful dark wrapper, Montecristo Grand Edmundo is among the latest brands released by the Montecristo lines of cigars. 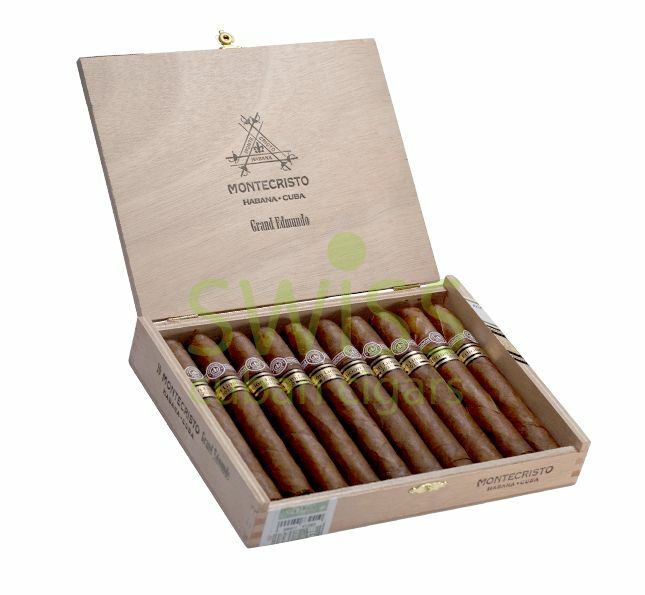 This large cigar has a construction of a thick gauge, ring size of 50 with a length measurement of 15 millimeters. The first flavor to reach your tongue even before the cigar is light is spicy. It has a beautiful pre-draw and sweet woody aroma. When light it burns beautifully producing a thick white smoke that makes this cigar so pleasurable. The second third gives off a smooth creamy flavor imperceptibly interspersed with that of cocoa and roasted nuts.